The venerable Dogwood and Azalea courses at The Grand Hotel Marriott, Resort, Golf Club & Spa have seen a lot in their days. They've hosted President Gerald Ford, Dr. Billy Graham and Bob Hope, to name a few of the more famous players. They've been through renovations and hurricanes and still remain a showcase for great golf in the South. First built in 1947, the Lakewood Golf Club at The Grand Hotel showcases fairways lined with 200-year old oaks and a dramatic signature hole... the 14th hole on the Azalea course... an island green surrounded by a four-acre lake which makes your approach shot to this par 5 very demanding. Recently redesigned by Bobby Vaughan, the new designs lend themselves to superb conditioning year round. With the addition or expansion of ten water features over the span of the 36 holes as well as other interesting architectural features, golfers are faced with decisions at every corner. The two, 18-hole courses are open to Lakewood members and hotel guests and promise a memorable golf experience for both the novice and the advanced golfer alike. Where the Dogwood course might seem a tad bit easier and the Azalea more of a challenge, both courses can play to your liking depending on your selection of tees. With five sets of tees per hole, your decision should be rather easy. 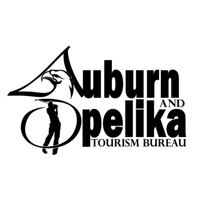 Funded by the Retirement Systems of Alabama, the renovation of both courses brings them on par with many of the great resort golf courses in the country. Lakewood Golf Club has several times been named to Golf Magazine's Best Golf Resorts in America. Please call 334-990-6312 for current rates. 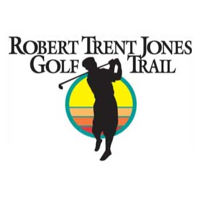 Call 334-990-6312 for rates and tee times. Contact Lakewood Golf Club at 334-990-6312 for more information and details on holding a golf outing at the course. Experience a stunning AAA Four Diamond beach resort in Point Clear, Alabama, the exquisite Grand Hotel Marriott Resort, Golf Club & Spa, one of the most beautiful hotels the Gulf Coast has to offer. A dramatic departure from standard Gulf Coast hotels, this grand resort boasts two challenging golf courses as part of the Robert Trent Jones Golf Trail, a luxurious 20,000-square-foot European-style spa, 10 tennis courts, a fabulous array of exceptional dining options, and a sizeable marina for sailboats, yachts and fishing boats. Contact Lakewood Golf Club at 334-990-6312 for onsite or nearby dining options. This profile was last updated on 05/31/2014 and has been viewed 15,418 times.